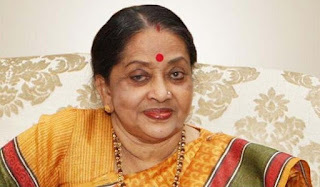 First Lady Mrs Suvra Mukherjee passes away this morning (August 18, 2015). She left for her heavenly abode at 1051 am. Vice President of India Shri M. Hamid Ansari has deeply condoled the demise of Smt. Suvra Mukherjee w/o Hon’ble President of India Shri Pranab Mukherjee. In his condolence message, he has said that in this hour of grief he joins the nation in offering deepest condolence to the President and the bereaved family members. May the Almighty grant peace to departed soul.